The European Personal Protective Equipment (PPE) Directives, published in 1989 and obligatory since the mid 1990s, have led to the development and use of a very wide range of European (EN) specifications for PPE. BTTG Fire Technology Services (BTTG FTS) has been and remains particularly closely involved in both the development and the use of test methods and specifications for fire protective clothing in Europe. This article describes the thinking behind the current standards, comments on the experience of BTTG and end users and concludes with key issues being considered with respect to current or future revision programmes. CEN, the European Standardisation body, has developed several product specifications published as EN standards that set out specific methods of test and related performance levels for clothing. Although the application of the two European PPE directives, one for CE certification of products and the other for product use, are mandatory it is not mandatory to use EN product specifications for CE certification; however, almost all fire protective clothing in use in Europe is CE certified using ENs because this is the most straightforward route and therefore understood best by both the PPE manufacturers and their clients. BTTG has been directly involved via the British Standards Institution (BSI) in the development of these specific standards since 1990 and also has used them since 1995 to provide all of the test data necessary to create EC Type-Examination Certificates for clients in its joint role as an accredited test house and CE certification body having so-called “Notified Body” status. The current standard is EN 469:2005 “Performance requirements for protective clothing”. This is a second generation standard, the first having been EN 469: 1995. Both were developed to the same basic principles with an important but controversial new concept concerning lifespan of protective clothing introduced into the 2005 edition. The basic principles adopted when developments commenced in the early 1990s were that the standard be a product specification setting out obligatory key properties of the clothing considered necessary to protect the wearer. For each property the standard would specify the methods of test to be used and also, where possible, the minimum level of performance to be achieved for each test. If all the specified minimum performance levels are achieved by a particular fire protective clothing model such as a jacket/trouser combination or a one piece coverall, then this requirement of the CE certification process set out in the European PPE Directive 89/686/EEC, is considered by almost all CE Certification Notified Bodies to have been met. Because the clothing required to meet this specification (1995 or 2005) typically consists of a few layers of different textile related material, the required tests are divided essentially into ones to determine the strength of the outer shell fabric, the resistance to ignition/flame spread of this outer shell and of the internal lining material (i.e. the innermost layer next to the wearer’s undergarments or skin) and the resistance to penetration of heat from flames and from a radiant source through all layers of the intended clothing component materials when tested as a combination. These basic tests are all textile and related fabric manufacturing industry tests, not tests on the complete clothing. They are therefore very small in scale compared to complete items of clothing and can use specimens either cut from the clothing or more usually cut from the rolls of material intended to be used by the clothing manufacturer and submitted to the test house. The 1995 and 2005 standards include methods of test for various other properties of the materials used the clothing such as waterproofness and also water vapour transmission i.e. a measure of perspiration removal. These properties are important because fire protective clothing should not allows water penetration/absorption via its outer shell component or retains water moisture as perspiration. This is because water is 21 times more able to conduct/transmit heat to the wearer of clothing than the air ‘trapped’ in the individual clothing materials and in any space between these materials. The only objective test i.e. one with a quantifiable outcome that is listed in both the 1995 and 2005 editions of EN 469 for the complete clothing items is an optional one for determining the burn injury prediction (BIP) caused by heat transmission through the clothing to heat sensors on the surface of a manikin dressed in the clothing. The test method was finally published this year as ISO 13506 “Protective clothing against heat and flame - Test method for complete garments - Prediction of burn injury using an instrumented manikin”. The main aspects of this method of test are the use of a full scale human form male or female shaped manikin, equipped with at least 100 heat sensors distributed over most of the surface of the manikins. When dressed in the fire protective clothing, the manikins are subjected to a flame engulfment event via flames from an array of gas burners for 8 seconds to simulate the wearer being caught in a flash-over event. Unlike most key protective properties for this type of clothing, neither the 1995 or 2005 editions of EN 469 set a maximum level for the BIP outcome of this test but require the values obtained for BIP and from other test data to be reported. BTTG has probably unique experience with fire protective clothing standards, in particular EN 469 because of its first publication in 1995. We have been able to contribute continuously, starting in 1990 with regard to EN 469, to the development of all three standards in CEN, in particular to the main test methods for ignitability/flame spread and heat penetration resistance. Our other main contribution continues to be towards manikin fire testing which we have offered to clients since 1992, recently given more status by the publication of ISO 13506 as the test method for protective clothing. 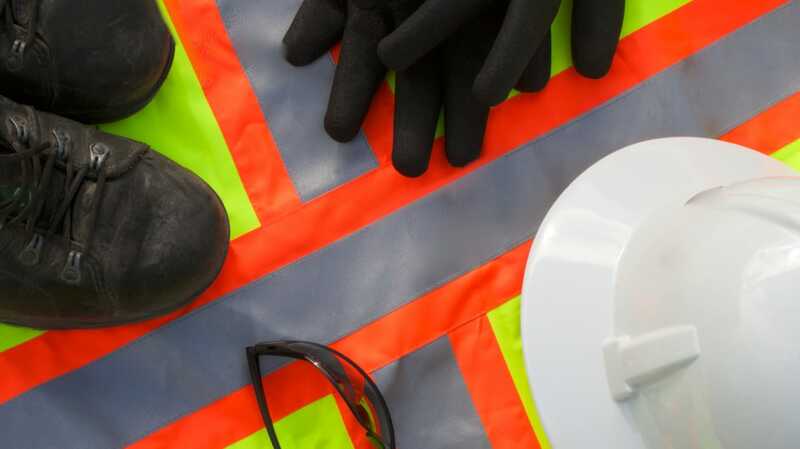 The particularly encouraging experience of users of EN 469 is, we understand, that it is providing PPE that gives the protection needed and expected by end-users provided that the PPE is selected, used and maintained correctly. This outcome suggests that the selection of test methods and accompanying performance levels is about the right compromise between protection and comfort in terms of heat stress problems. EN 469 is, of course, the most widely used of the three standards described above and required 10 years of committee work by many people, including the writer, to revise the 1995 first edition. From our perspective as a test house, we wanted to include improvements to deal more effectively and consistently with the protection in regions of the clothing incorporating closure systems, seams, conspicuity tapes, etc. This has been generally achieved in the current 2005 edition but improvements in the wording of some procedures are still necessary to achieve reproducibility of results between test laboratories. Over the years since 1995 we have seen considerable reductions in the weight of EN 469 clothing able to meet the demanding heat penetration resistance requirements. This is a consequence of the fundamental philosophy of CEN standards for PPE that they should be performance specifications, not composition/material type specifications that would have prevented innovation. A new aspect of CE certification has been introduced into EN 469: 2005 and in a more developed form, into EN 15614 and EN 1486. This concerns the lifespan of protective clothing and aims to lead to manufacturers being able to state a lifespan for their PPE based on tests included in these EN product specifications. This new thinking comes from the current interpretation of content of the PPE ‘product’ Directive 89/686/EEC which CEN technical committees working on development of EN standards appear obliged to accept. This is a controversial issue because there can be a world of difference between test laboratory based accelerated and artificial ageing procedures for PPE and the diverse realities of many end-use situations. The procedures in these three standards for fire protective clothing deal only with ageing linked to cleaning processes, the inference being that cleaning, usually multiple wash/dry cycling, may cause deterioration in one or more protective properties. Because such wash cycling is applied to new clothing, never used, contaminated or otherwise challenged, the outcome could be misleading, perhaps dangerously so, to end-users. EN 469: 2005 is already being revised in part to deal with some ambiguities and inadequately detailed text identified initially by the UK BSI committee chaired by the writer. Discussion has now moved on to issues such as practical performance testing and most recently whether or not we should start with a ‘clean sheet of paper! Given that there seems to be little if any evidence of inadequate protection being provided by the current standard (or its predecessor) this proposal by certain end users and also test facilities specialising in physiological and related human subject based testing seems questionable in our view as a test house working with both manufacturers and end-users. One aspect of both EN 469 and EN 1486 that needs further work is to determine whether it is possible to set maximum burn injury prediction values for manikin fire tests. Currently the spread of results between the few test houses offering this test, of which BTTG is a leading provider with a state of the art facility, appears too great to permit this step which end-users in particular would like to see realised. Interlaboratory trials and discussions are planned which should help identify reasons for different results and lead to ISO 13506 being made more precise regarding apparatus and procedures. This type of manikin testing has been widely used for many years on behalf of end-users who wish to compare alternative designs and material compositions which now all meet the obligatory requirements of EN 469:2005 but which may well behave very differently in a manikin fire test, perhaps because one type shrinks more than another when challenged by this simulated flash over event. Because of the variation in results between some test facilities it is advisable to undertake all comparative testing at one facility - not an ideal situation. Those of us who work in CEN committees on fire protective clothing standards, a wide ranging community of end-users, test houses, manufactures and safety agencies, should not make each edition of a product specification more complex, more demanding and more expensive to apply unless we can really identify protective function weaknesses in clothing made to the current specifications - EN 15614 and EN 1486 have 5 years to run before we have to either revise or re-confirm them so there is time to learn from their use before making this decision. If we do decide to revise them, let’s do so from a practical perspective and not simply be driven by a ‘better’ adherence to an interpretation of the PPE product directive 89/686/EEC. This point also applies to the on-going revision of EN 469!